NextHow is ECMP metered when configured in the Provider architecture within the VMware Cloud Provider Program? 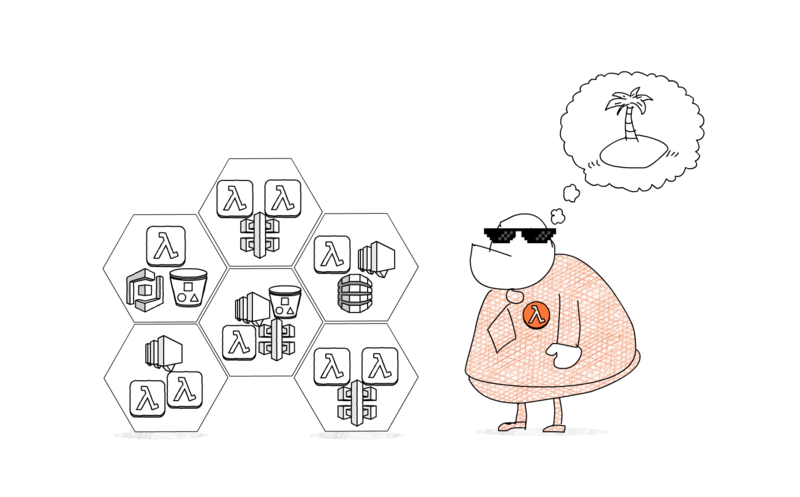 Guest post by AWS Serverless Hero Slobodan Stojanovi?. Slobodan is the co-author of the book Serverless Applications with Node.js; CTO of Cloud Horizon, a software development studio; and CTO of Vacation Tracker, a Slack-based, leave management app. Slobodan is excited with serverless because it allows him to build software faster and cheaper. He often writes about serverless and talks about it at conferences. Serverless seems to be perfect for startups. The pay-per-use pricing model and infrastructure that costs you nothing if no one is using your app makes it cheap for early-stage startups. On the other side, it’s fully managed and scales automatically, so you don’t have to be afraid of large marketing campaigns or unexpected traffic. That’s why we decided to use serverless when we started working on our first product: Vacation Tracker. Vacation Tracker is a Slack-based app that helps you to track and manage your team’s vacations and days off. Both our Slack app and web-based dashboard needed an API, so an AWS Lambda function with an Amazon API Gateway trigger was a logical starting point. API Gateway provides a public API. Each time that the API receives the request, the Lambda function is triggered to answer that request. Our app is focused on small and medium teams and is the app that you use less than a few times per day. Periodic usage makes the pay-per-use, serverless pricing model a big win for us because both API Gateway and Lambda cost $0 initially. We decided to start small, with a simple prototype. Our prototype was a real Slack app with a few hardcoded actions and a little calendar. We used Claudia.js and Bot Builder to build it. Claudia.js is a simple tool for the deployment of Node.js serverless functions to Lambda and API Gateway. After we finished our prototype, we published a landing page. But we continued building our product even as users signed up for the closed beta access. Just a few months later, we had a bunch of serverless functions in production: chatbot, dashboard API, Slack notifications, a few tasks for Stripe billing, etc. Each of these functions had their own triggers and roles. While our app was working without issues, it was harder and harder to deploy a new stage. It was clear that we had to organize our app better. So, our Vacation Tracker koala met the AWS SAM squirrel. We started by mapping all our services. Then, we tried to group them into flows. 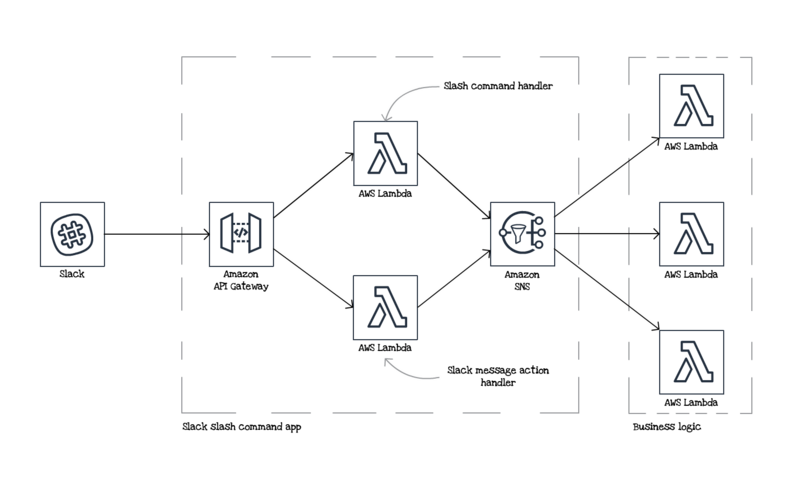 We decided to migrate piece by piece to AWS Serverless Application Model (AWS SAM), an open-source framework for building serverless apps on AWS. 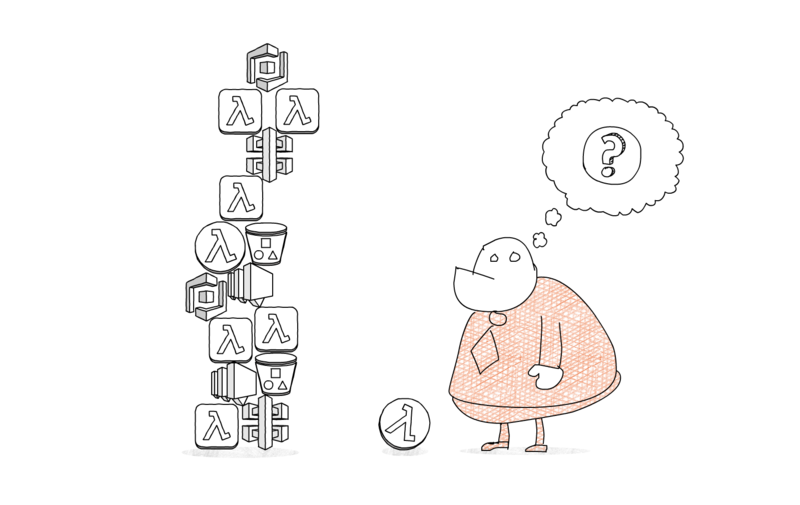 As AWS SAM is language-agnostic, it still doesn’t know how to handle Node.js dependencies. We used Claudia’s pack command as a build step. Grouping services in serverless apps brought back easier deployments. With just a single command, we had a new environment ready for our tester. Soon after, we had AWS CloudFormation templates for a Slack chatbot, an API, a Stripe-billing based payment flow, notifications flow, and a few other flows for our app. Like other startups, Vacation Tracker’s goal is to be able to evolve fast and adapt to user needs. To do so, you often need to run experiments and change things on the fly. With that in mind, our goal was to extract some common functionalities from the app flow to reusable components. For example, as we used multiple Slack slash commands in some of the experiments, we extracted it from the Slack chatbot flow into a reusable component. With this component, we can run our slash command experiments faster. Adding a new Slack slash command to our app requires the deployment of the slash command. We also wrote a few Lambda functions that are triggered by the SNS topic or handle business logic. While working on Vacation Tracker, we realized the potential value of reusable components. Imagine how fast you would be able to assemble your MVP if you could use the standard components that someone else built? Building an app would require writing glue between reused parts and focus on a business logic that makes your app unique. This dream can become a reality with AWS Serverless Application Repository, a repository for open source serverless components. Instead of dreaming, we decided to publish a few reusable components to the Serverless Application Repository, starting with the Slack slash command app. But to do so, we had to have a well-tested app, which led us to the next challenge: how to architect and test a reusable serverless app? Our answer was simple: Hexagonal architecture, or ports and adapters. It is a pattern that allows an app to be equally driven by users, programs, automated tests, or batch scripts. The app can be developed and tested in isolation from its eventual runtime devices and databases. This makes hexagonal architecture a perfect fit for microservices and serverless apps. lambda.js and main.js files. lambda.js has no tests, as it simply wires the dependencies, such as sns-notification-repository.js, and invokes main.js. main.js has its own unit and integration tests. Integration tests are using local integrations. Each repository has its own unit and integration tests. In their integration tests, repositories connect to AWS services. 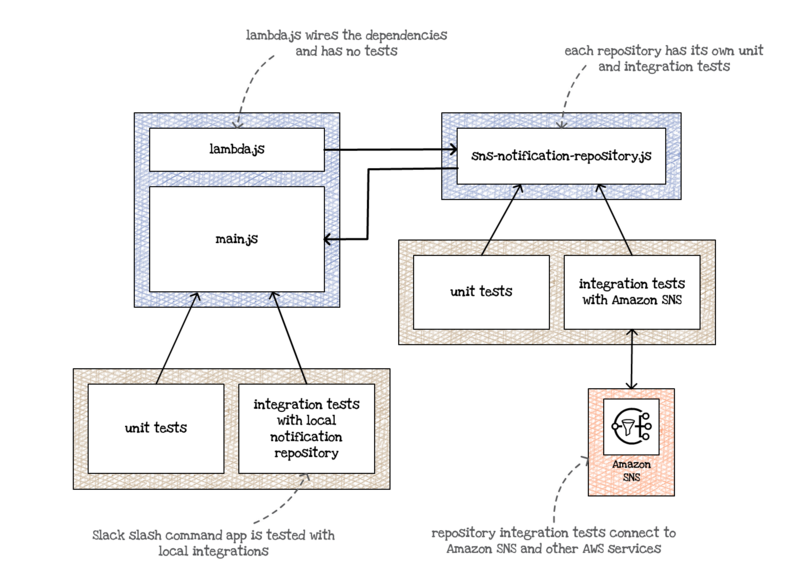 For example, sns-notification-repository.js integration tests connect to Amazon SNS. The second, and more critical file of each function is main.js. This file contains the function’s business logic, and it must be well tested. In our case, this file has its own unit and integration tests. But the business logic often relies on external integrations, for example sending an SNS notification. Instead of testing all external notifications, we test this file with other adapters, such as a local notification repository. 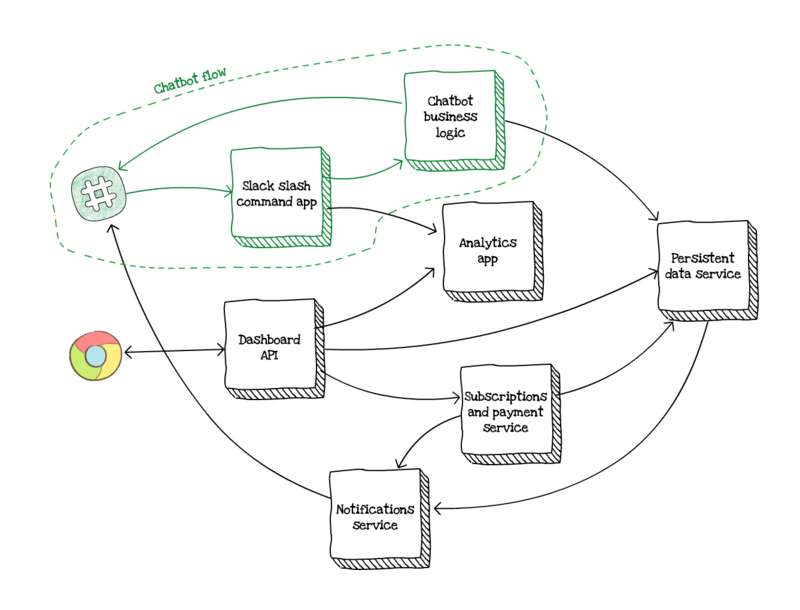 Adapters for external integrations have their own unit and integration tests, including tests that check the integration with the AWS service. This way we minimized the number of tests that rely on AWS services but still kept our app covered with all necessary tests. Migration to AWS SAM simplified and improved our deployment process. Setting up a new environment now takes minutes, and it can be additionally reduced in future by nesting AWS CloudFormation stacks. Development and testing for our components are easy using hexagonal architecture. Reusable components and Serverless Application Repository put the cherry on top of our serverless cake. This could be the start of a beautiful friendship between serverless and startups. With serverless, your startup infrastructure is fully managed, and you pay it only if someone is using your app. The serverless pricing model allows you to start cheap. With Serverless Application Repository, you can build your MVPs faster, as you can reuse existing components. These combined benefits give you superpowers and enough velocity to be able to compete with other products with larger teams and budgets. We are happy to see what startups can build (and outsource) using Serverless Application Repository. In the meantime, you can see the source of our first open source serverless component on GitHub: https://github.com/vacationtracker/serverless-slack-slash-command-app. And if you want to try Vacation Tracker, visit https://vacationtracker.io, and you can double your free trial period using the AWS_IS_AWESOME promo code. How is ECMP metered when configured in the Provider architecture within the VMware Cloud Provider Program?